The newest and most accurate way of testing ovarian reserve is by performing an AMH test. AMH stands for Anti Mullerian Hormone. During the follicular phase of the menstrual cycle (day 1 to day 13), a number of primordial follicle are stimulated by hormonal action to of FSH. They go though different stages of development (see diagram) and only one of them will complete maturation and release a haploid egg. These growing follicles secrete AMH. How can AMH hormone levels be a fertility test? 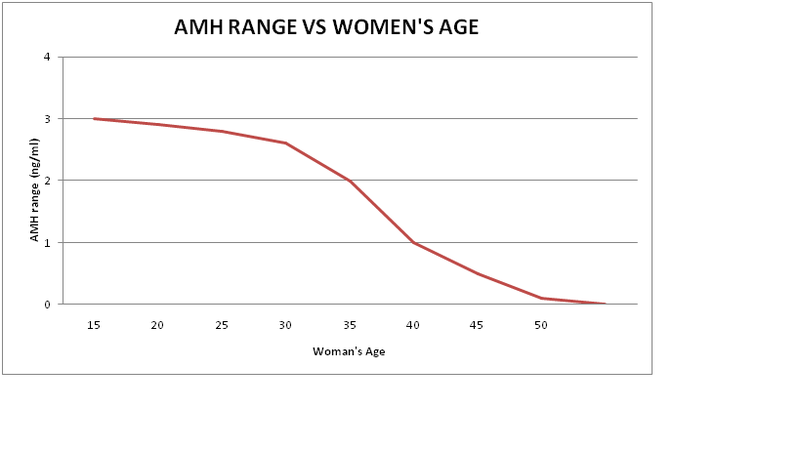 Since AMH is produced only in by the growing follicles, blood levels of AMH is directly proportional to the size of the pool of growing follicles in women. Research shows that the size of the pool of growing follicles is heavily influenced by the size of the pool of remaining primordial follicles from which they were recruited. (ovarian reserve). Therefore,AMH blood levels are thought to reflect the size of the remaining egg supply or ovarian reserve. AMH is an accurate reflection of the pool of active follicles. It can be checked at any point of the menstrual cycle. It can also be checked even if someone is on birth control pills. Because AMH does not fluctuate as much as FSH it is a more convenient predictor of ovarian reserve.